The thump of dozens of boots on the dilapidated stairs gave way to a cacophony of doors being kicked in, as riot police in balaclavas aimed their guns at sleepy, half-naked men, their arms hastily flung up in the air. Barking orders, the officers ransacked rooms, overturned possessions and ordered residents to stand spreadeagled in the dingy passageways. 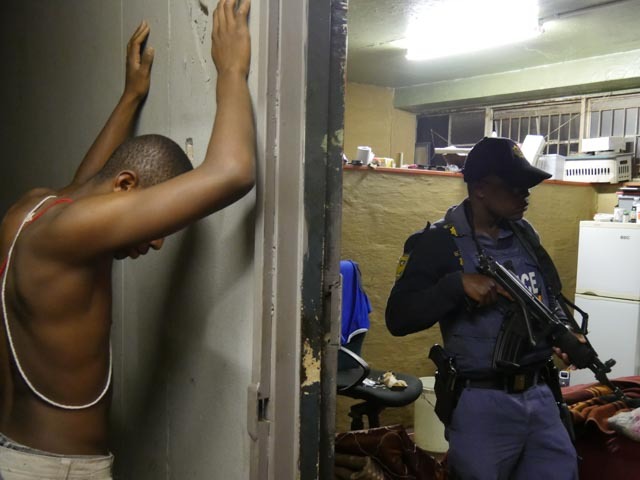 The raids were meant as a response to the xenophobic violence that gangs of South Africans have meted out to foreigners living in their country over the past month. The violence has led to the deaths of seven people in Johannesburg and Durban, and has forced thousands of poor African and Asian migrants to flee their homes and settle in makeshift camps outside the cities. It has also prompted fury from surrounding African nations, many of whose citizens have been left fearing for their safety. Police have been roundly condemned for their failure to protect the vulnerable migrants — and this was their response. 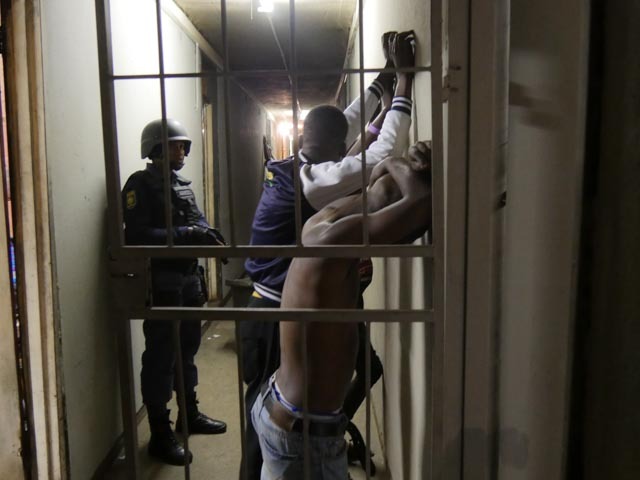 The raids took place in the poor Johannesburg township of Alexandra, with a helicopter circling a vast hostel, home to as many as 1,000 men, and shining a spotlight through the grimy windows. Outside, troops surrounded the crumbling building, waiting to catch anybody who chanced an escape. A bomb disposal squad was on hand, just in case. However, inside the hostel it was unclear how exactly the raid would help victims of xenophobia. The grand tally achieved by the city’s best and brightest? 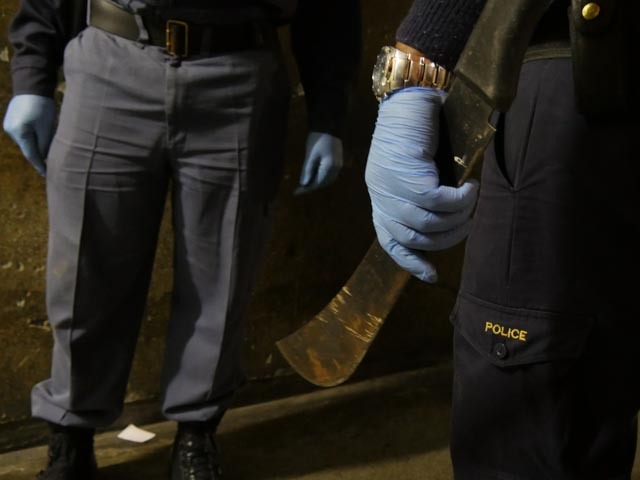 One machete, found stuffed down the side of a bed in an empty room, with no sign of who had hidden it. One gun, which turned out to have been properly licensed. Two crates of beer, which were confiscated, and the man caught selling them the only person arrested on the night. Xenophobia in the post-apartheid “rainbow nation” surprises no one any more. There have been several outbreaks since democracy dawned in 1994; the worst in May 2008, when 62 foreigners were killed in Johannesburg. Alexandra’s hostel is known to welcome Zulus, the largest ethnic group in South Africa, and the one to which President Zuma belongs. It houses many supporters of the Inkatha Freedom Party which, not too many years ago, was locked in deadly combat with the ruling ANC. It was Goodwill Zwelithini, the Zulu king, who called foreigners “lice” and told them to leave the country — triggering the latest attacks. It is not surprising, then, that the police should go after his followers. The enormous hostel is also known as a place to disappear in. “If the police are chasing you, that’s where you run,” one Alexandra resident said. Under normal circumstances, the police would be too scared to venture in. On the night of the raid, however, they were made comfortable by the presence of the army. Cleaning up in the aftermath of the raid, the hostel-dwellers seethed at the police and the government, who they said were scapegoating them. “I’m not okay. They messed up my place,” Peacewell Ndlovu said, surveying the damage. “I must do the cleaning, I must mop everything. And I have to get up at six in the morning tomorrow.